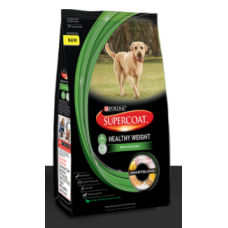 Supercoat Healthy Weight With Real Chicken Provides Complete And Balanced Nutrition, With No Artificial Colours Or Flavors, To Help Keep Your Dog Happy And Healthy. 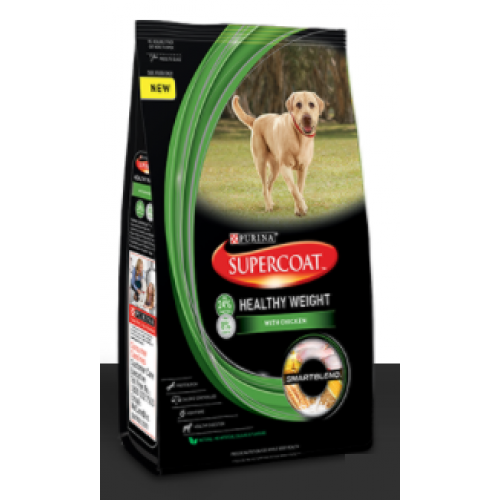 To Help Your Dog Switch To The New Supercoat Formulation, Its Best To Transition Them Over A 7-10 Day Period. Calorie Controlled :- Rich In Calcium For Strong Teeth And Bones. Natural :- No Artificial Colours Or Flavors. Others Details Healthy Digestion :- Keeps His Digestive System Healthy With Natural Fibre. High In Fibre :- High In Plant Fibre To Help Them Feel Full.